Posted November 18th, 2018 - News Posted for Sri Lanka, World Surfing News. Article via Tim Jones, ISA Course Presenter in Sri Lanka. It’s been an amazing few months in the development of Sri Lankan surfing and the Surfing Federation of Sri Lanka. The first ever Sri Lankan National Surfing Team to leave our shores took part in the Covelong Point Surf Festival in Tamal Nadu, India. With great individual results, the highlight for the guys was the team spirit that was created. With great backing from the Sri Lankan Ministry of Sport this was a super important trip away. 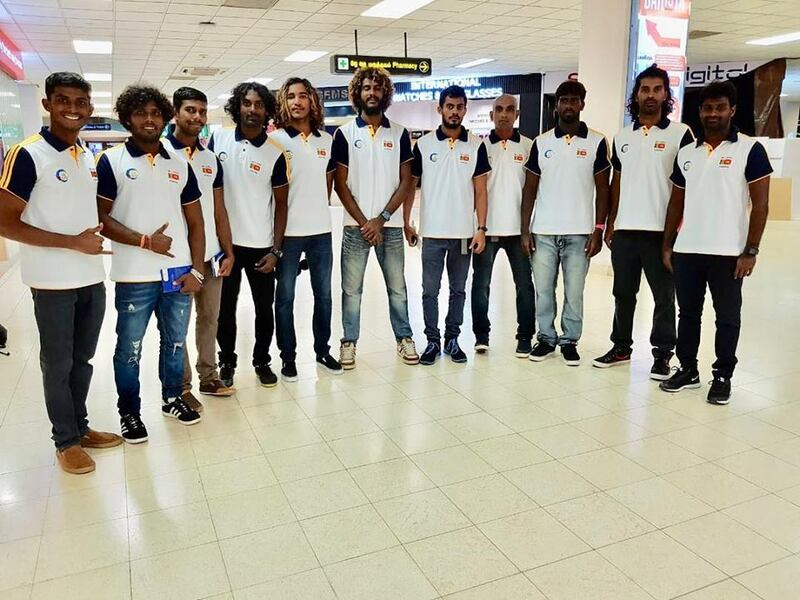 Sri Lanka’s first national team prepares to leave to India. Then, the last of the series of three contests took place at Arugam Bay’s famous right point in mid September. During the year, two previous SFSL contests had taken place, one in the West at Hikkaduwa and one in the South at Kabalana. Now it was the turn of the iconic main point of Arugam Bay to deliver not only a contest winner but to find Sri Lanka’s first Open Division National champion. 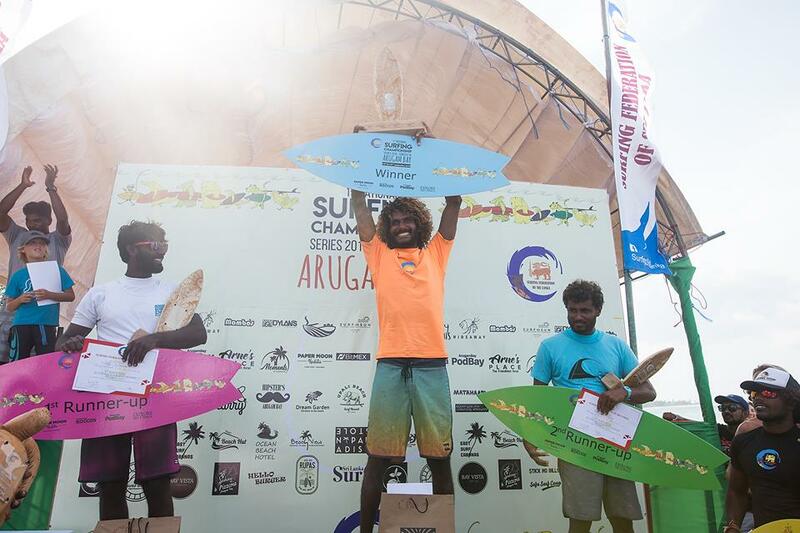 With two days of pumping waves our first ever National Surfing Champion was crowned. Lesitha Prabath had already won the Hikkaduwa contest and his local knowledge and solid surfing gave him a well deserved title of Sri Lankan National Surfing Champion. The tireless work contest director Mambo ensured a smooth running event and highlights included the juniors from Arugam Bay putting on a solid display in what were well overhead waves for them. 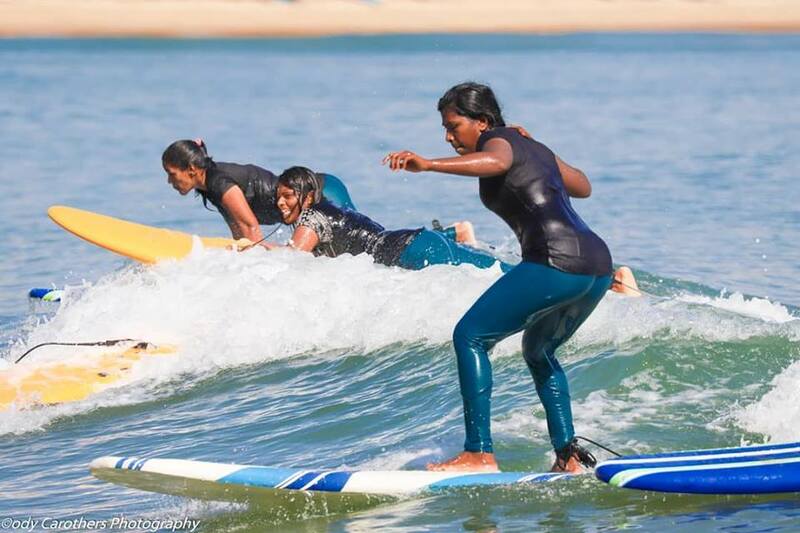 Development at all levels has been continuing and very importantly Sri Lanka’s first women’s surf club, the Arugam Bay Girls Surf Club has registered with the Federation. This is huge step forward for the country and we are all looking forward to women and girls taking up surfing all over Sri Lanka. A first female ISA coach and a women’s champion is not far away. Arugam Bay’s Girls Surf Club making waves. ISA Instructor Courses have been growing in popularity and increasing the quality of coaching and safety in the growing world of local club surfing and of course Sri Lanka’s economically important world of surf tourism. 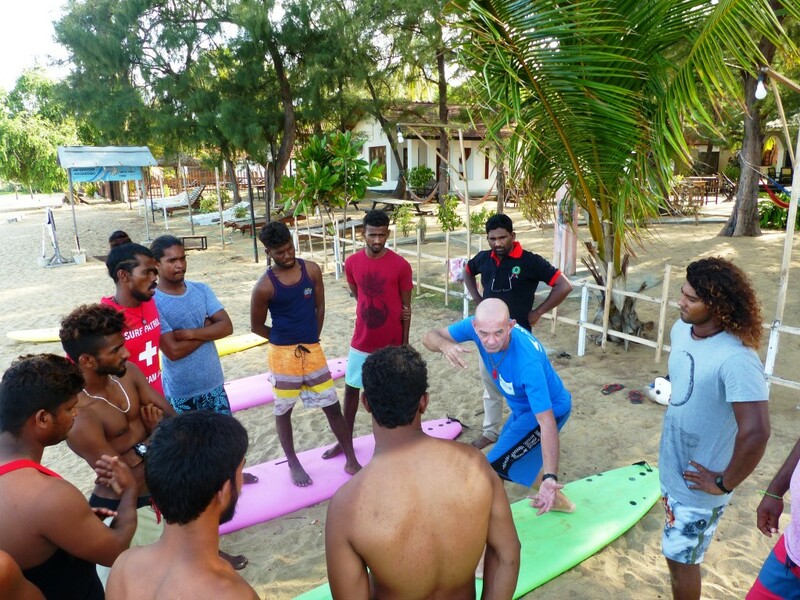 In October 28 Sri Lankan’s took part in the ISA Level 1 in Arugam Bay. Two back to back courses were run with funding generated by the Australians Government in their Australian Aid program and more ISA courses nationally are planned. So a super positive months few have passed and with all the work and commitment of the Surfing Federation of Sri Lanka backed by the ISA and individuals and groups right through the country we look forward to the next chapter in this wonderful journey. Total focus from the guys on the ISA Level 1 Arugam Bay. A well-deserved win. Lesitha Prabath, Sri Lanka’s first champion. Lesitha Prabath busting the fins to victory.